2. Edit an existing dialog or a new one. 3. If you added a control, such as a button, double-click it. a window is opened. In the General Tab, you can get or change information such as the name (important if you want to use it in the macro), color, type (“Ok” button, for example), etc. In the Event tab, you can assign macros to events. Clicking “Submit” will run another macro with the event details, and the “Button type” selected in the general tab was “OK”. We can also start our macro by pressing the “tab” key until our button gains focus and then pressing the Enter key, thus the event starting the macro is “Item status change”. event=ARGUMENTS;      // Because this macro is a callback, it has the event for first argument. evtSource=event.Source;       // The control that fired the event. 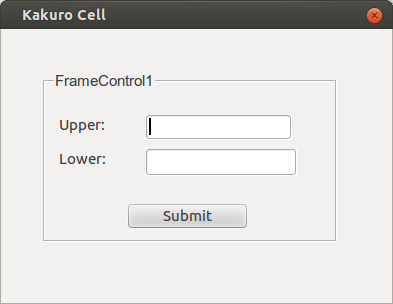 peer=xControl.getPeer();       // The dialog window. ctxControlContainer=UnoRuntime.queryInterface(XControlContainer, ctx);  // Yes, the window is a control container that contains the button and input fields. The interpreter used by the script provider is named Rhino, an interpreter developed by Mozilla. Rhino is written entirely in Java, and allows developers to embed Java objects within their code. To embed a Java object, you should first import it using the command “importClass(Packages.<class-name>);”. Will create a bi-dimensional array with one row and 3 columns of Point objects.